At Fancy Cakes by Rachel we only use the finest quality ingredients in your cake. We make each cake fresh to order so that you are guaranteed a freshly-baked and tasty cake. We can put your logo on a cake or cupcakes. 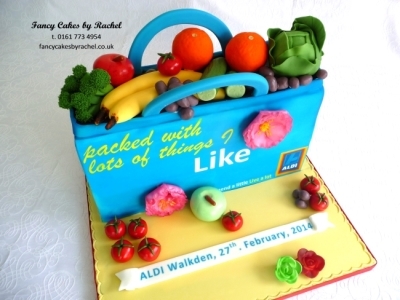 We make cakes for all occasions and deliver throughout the Greater Manchester area. Please contact us for more information regarding corporate cakes.